World Rugby rankings won’t reflect the enormity of the 2018 Freedom Cup, but it is clear to me the Boks are once again one of the two best rugby teams in the world. South African rugby supporters will think they were robbed when IRANZ Graduate Ardie Savea scored with the last play (Mounga converting) to secure a victory. But in my view, the All Blacks deserved to tie the series. They outscored the Boks 6 tries to 5 in the first match, and 4 tries to 3 in the second. Long may this world class rivalry continue. Three things stood out at Loftus Versveld on Saturday. The Boks outplayed the AB’s in the first half because they won 70% of the ball. Secondly, the All Blacks were exposed in broken play when the Springboks moved the ball, and finally, the All Blacks played their best rugby in the last quarter when both teams fielded their benches. 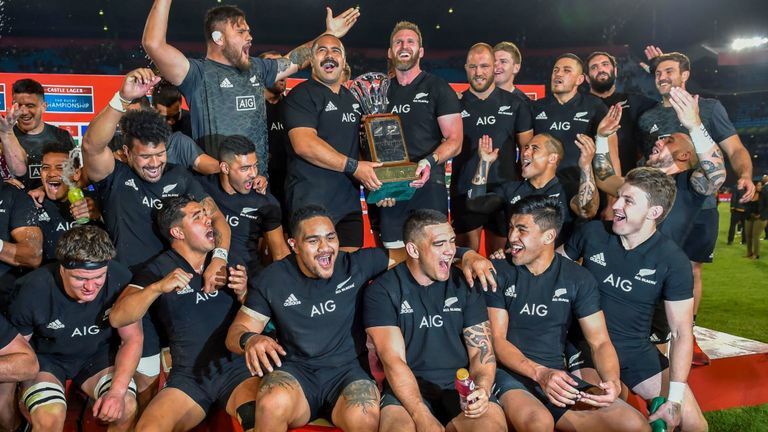 My conclusion is that presently the All Blacks have more depth and by the time the teams meet in Yokohama next year, the result will hinge on how well both coach and management groups manage their squads and their game strategy. Thanks to Rassie Erasmus, Steve Hansen and co now have decisions to make across the board. Should Moody return to the starting front row? Brodie Retallick will return to the locking position, perhaps Scott Barrett will get the nod at blindside flanker. Can Ardie Savea match Sam Cane at the all-important tackle area? SBW will need to pick up his offensive defence to win the 12 jersey. Is there a place for Jordie Barrett at 13 or 15?